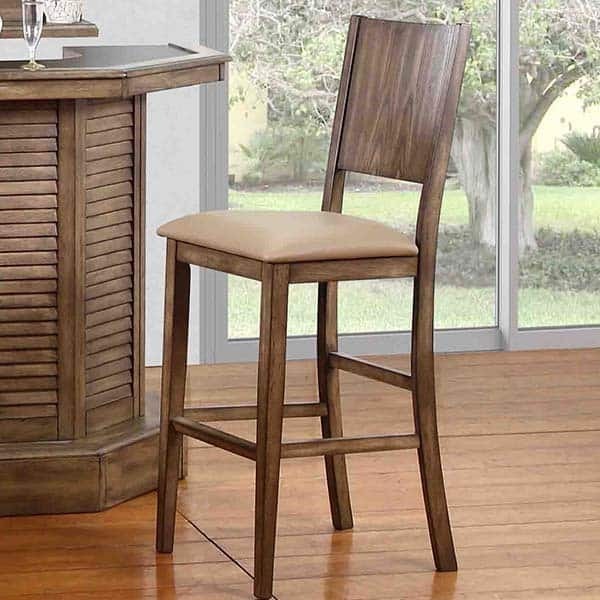 Ashburn Bar Stools are designed with the ECI priorities of classic style and comfort. For style, the Ashburn is made with solid hardwood. The Ashburn finish encourages the natural character of the hardwood to shine through. The light finish complements the cream cushion cover, resulting in a light, airy tiki bar look. For comfort, the Ashburn supports with a high, solid seatback, offers comfort with a cushioned deep seat, and adds extra stability with a footrest that wraps around the base of the chair. The chair does not sit on a swivel, so it is more stable and stagnant than other ECI options. 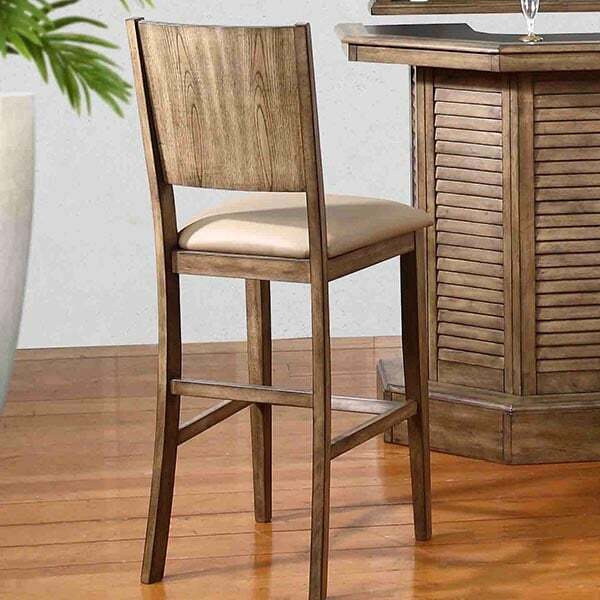 The Ashburn Bar Stool matches perfectly with the Ashburn Bar by ECI. Or, add it to your existing timeless bar room furniture.